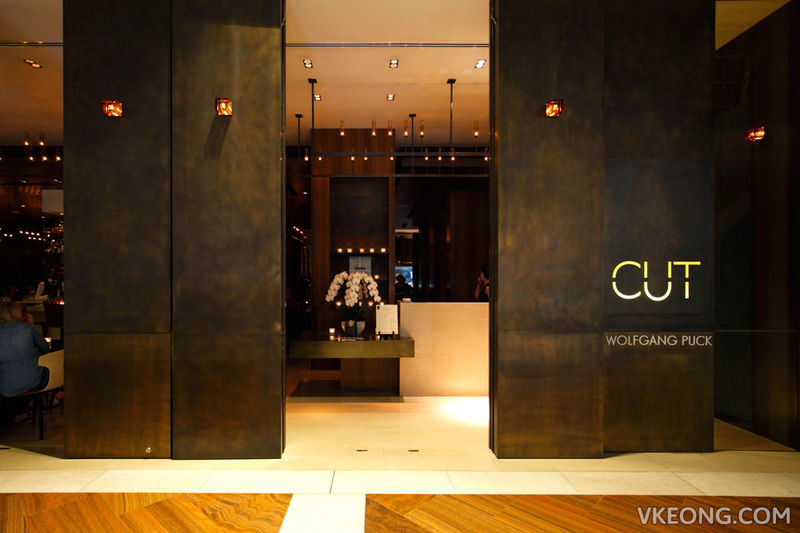 After Tim Ho Wan, CUT by Wolfgang Puck was my second proper Michelin starred experience. The entire time I was there, I dissected everything from the food quality to the service. 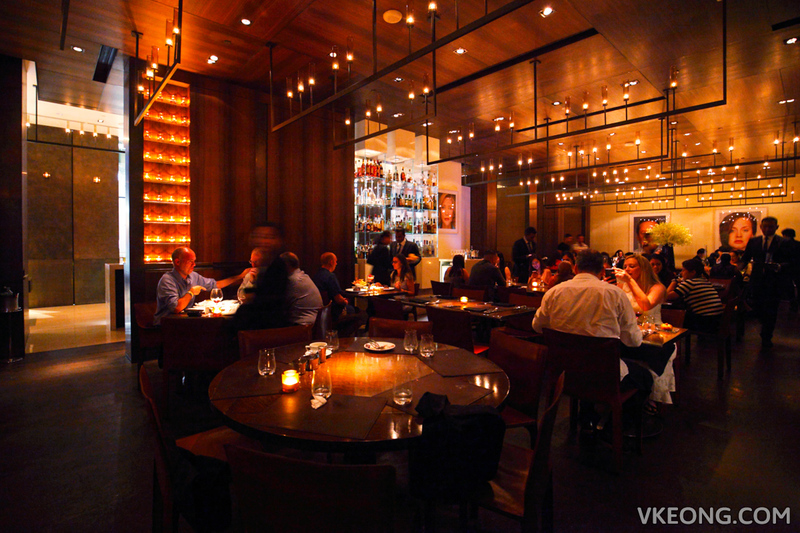 Then, I compared CUT to the many steakhouses I have been to in KL to see what sets a Michelin starred restaurant apart. My takeaway? The level of customer service provided is the key difference. I don’t think we have any problem in securing high quality ingredients, nor we lack talented chefs. But when it comes to customer and kitchen service, you can tell that we are sorely lacking in that department. At CUT, the waiters know the menu inside out and could even explain the dish further. Plus, they actually memorize your order and all food arrives at once for everyone at the table. There’s no “someone else got their food first”, “sorry I don’t know” or “who ordered what” kind of thing going on. It just feels professional and tip worthy. I had a special 3 course meal, of which I got to choose a starter, main course and dessert from some of their best sellers. For the first course, I picked the Alaskan King Crab & Shrimp Louis with Spicy Tomato-Horseradish @ $39. Light, fresh yet bursting with flavors, the cocktail sized crab louis featured generous chunks of Alaskan King Crab – it felt luxurious. The main course was a battle to choose, as everything looked good. Eventually, it was down to either the USDA Prime Petit Filet Mignon or Double Thick Iberio Pork Chop ($69). Getting the steak might have seemed like a no brainer especially when we are in a steakhouse. But I was glad that I chose otherwise because I had a bite of a friend’s filet mignon, and decided that I preferred my pork chop. 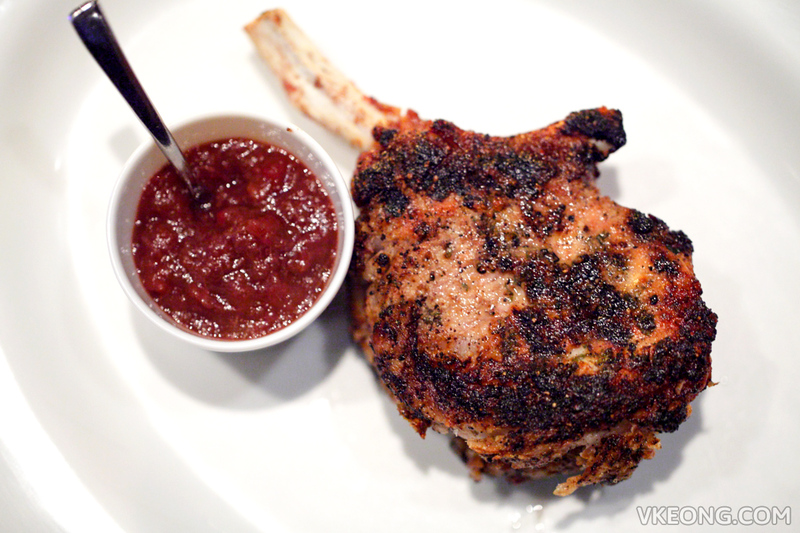 CUT promised a double thick pork chop and they delivered. It was perfectly cooked to a medium with a tender and juicy center, and the crust formed on top was rich in flavor. If you are wondering, the steaks are served bare. Optional add ons include the likes of foie gras, fried organic egg and a variety of sauces – these are all chargeable. So far, whatever I had including a number of side dishes (which I did not photograph) had been impressive. But it was really the dessert that clinced it for me. 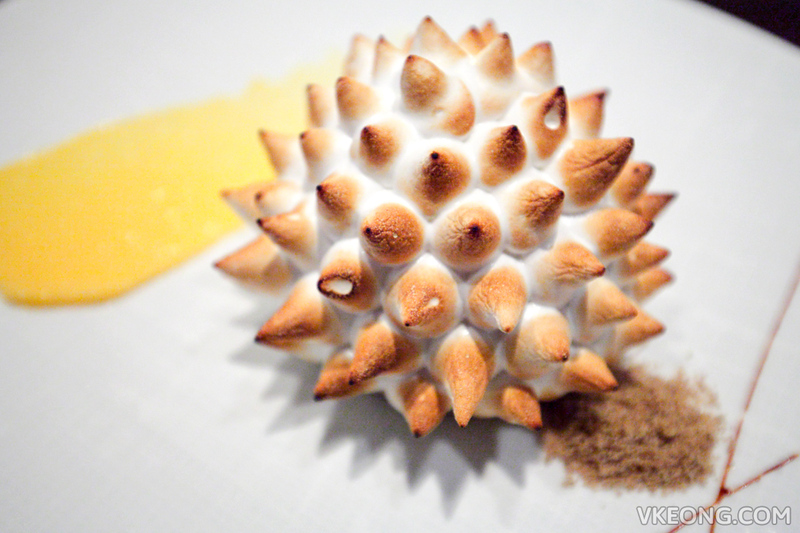 The Kaya “Baked Alaska” @ $24 is an Asian take on the classic French-American dessert. Pandan ice cream, coconut sorbet and coconut cake are coated in a kaya infused meringue giving it a creamy, amazingly rich coconut flavor with a delicious mixture of textures. Absolutely wonderful, worth dropping by just for this. 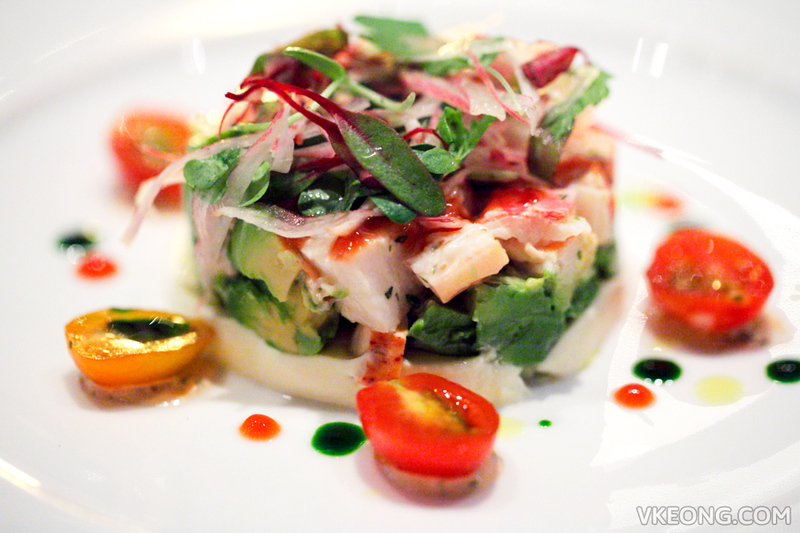 The post CUT by Wolfgang Puck Steakhouse @ Marina Bay Sands appeared first on Malaysia Food & Travel Blog.